The festive season is as gruelling as it is enjoyable: peak-shopping, seemingly endless travel, and hours spent pampering and preening for a slew of drunken parties. Desperate for a break, the holidays will have spun past before you realised they began. 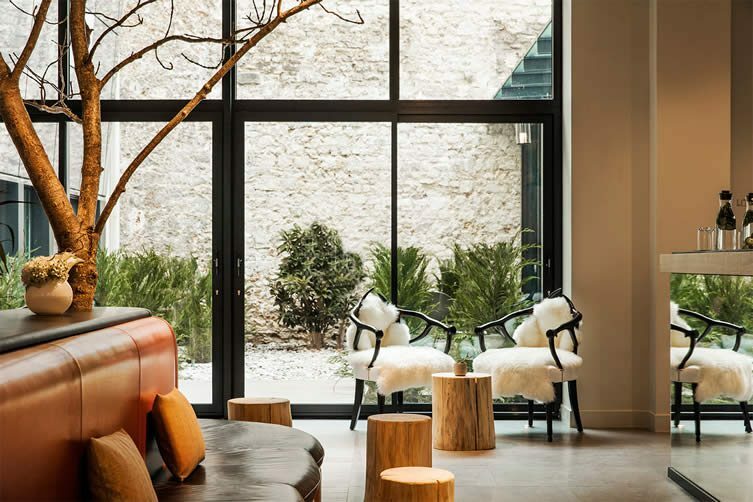 Offering the ability to sneak a few short hours to relax, reflect and rejuvenate at a hotel (free from a ‘knowing’ snigger from the receptionist), the ‘microstay’ might be your new BFF. Gone are the days where hotel rooms had to be booked for a 24-hour period or more, dynamic companies like BYHOURS understand that these days we can do a lot more with our free time than have a quick fumble (the reputation made infamous by American motels and Japan’s declining ‘love hotels‘). By negotiating rental periods of three, six or 12 hours — and with properties around the world — these platforms can provide us with the flexibility and convenience required in this fast-paced world. As more and more of us are moving around quicker than ever before, and become increasingly short on ‘us’ time, the microstay is a concept that looks set to stay. 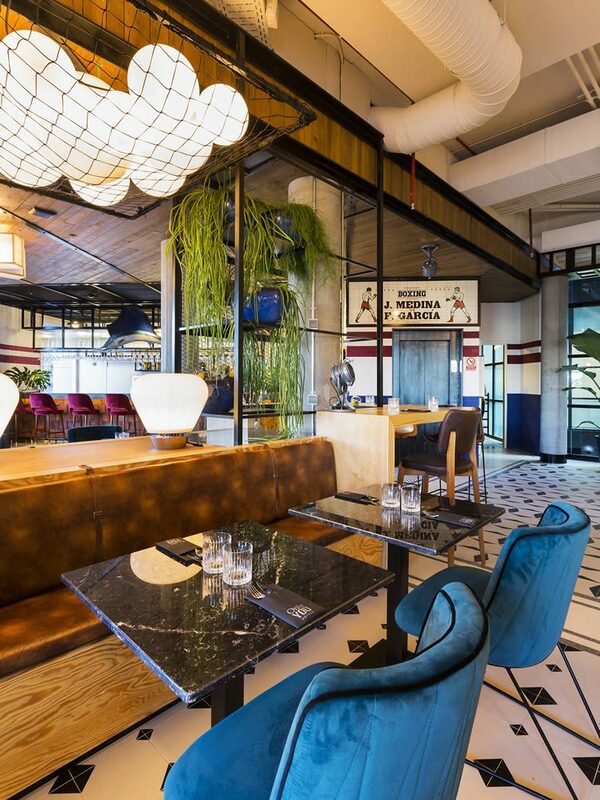 Take the Only You Hotel Atocha, located in the centre of Madrid on the Paseo Infanta Isabel — a design-lovers dream, the property is an eclectic and sophisticated enclave in an urban setting. 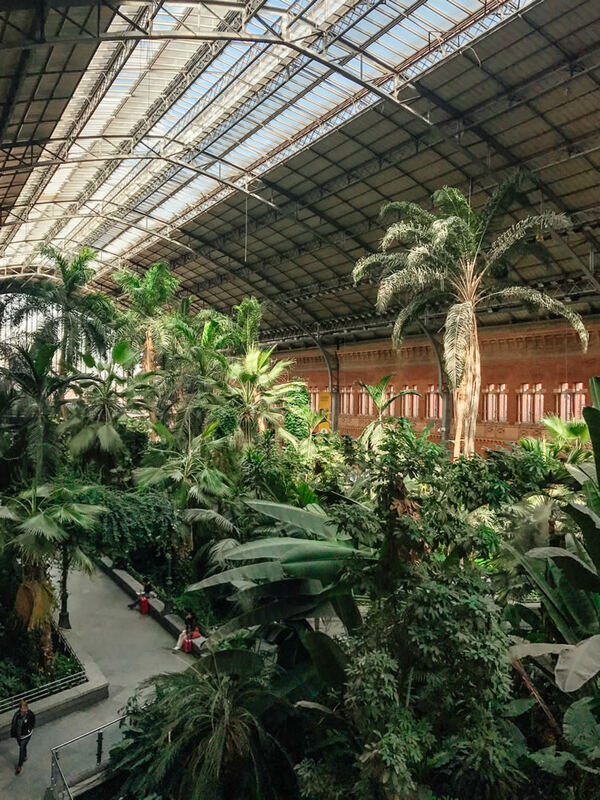 It is also located opposite the city’s Puerta de Atocha railway station where you can catch the high-speed Renfe AVE to various cities within Spain and France. Bookable for those tiny time-slots, your soundproofed room features all of the usual amenities; meaning you can explore the near-by sights of the city, including the iconic Prado Museum just a short stroll away. 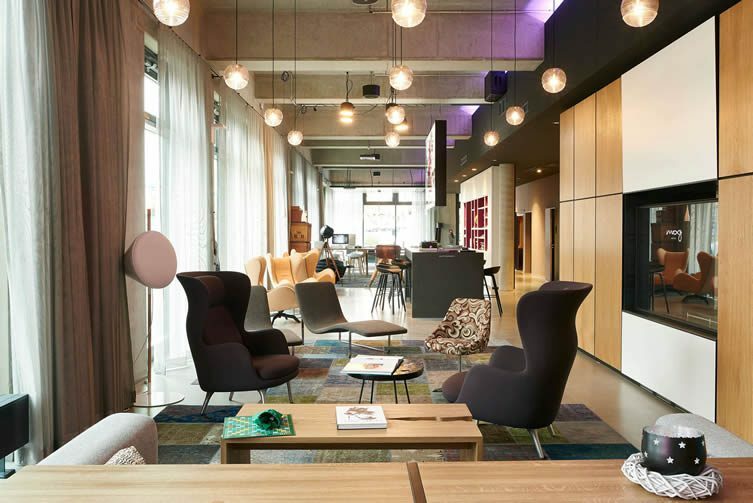 There are great business facilities and meeting spaces too, meaning that, work or pleasure, a microstay can see you enjoying an afternoon in design-conscious style before a fast ride on the AVE. 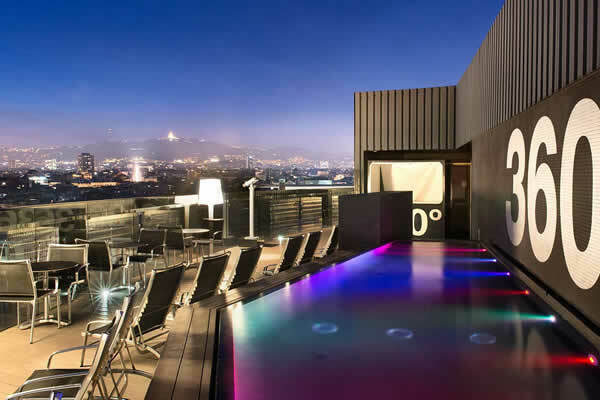 Riding that AVE out of Madrid’s impressive Atocha station and on to Barcelona, the Barceló Raval offers one of the best rooftop terraces in the city. 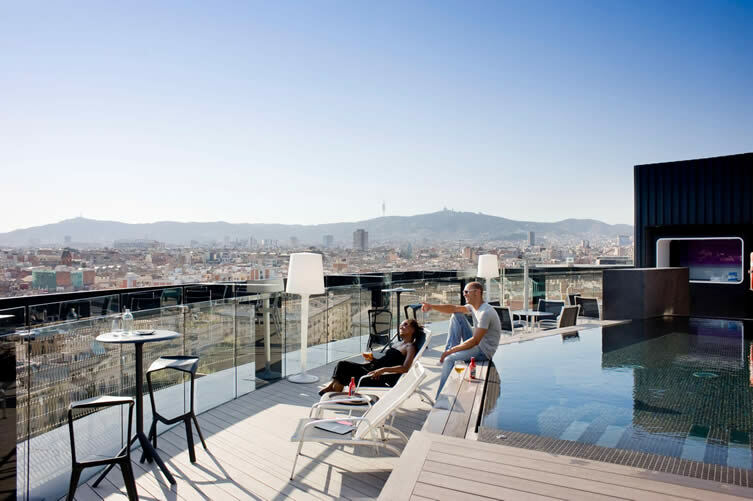 Which means that in a little over three hours you can be kicking back and sipping cocktails with unrivalled panoramic views; Gaudí’s unfinished Sagrada Família, the mediterranean coastline, and the Collserola mountain range backdropping the densely populated city in different directions. Located in the culturally diverse neighbourhood of El Raval, the brilliant Barcelona Museum of Contemporary Art (MACBA) is close by, as is the world-renowned Boqueria market and the infamous La Rambla. However, with these views — and did we mention a chic rooftop pool and bar? — do you really need to tear yourself away? Perhaps this is why renting rooms this way is catching on so quickly, and why BYHOURS — who started here in the Catalan capital in 2012 — is already operating in the main cities of Europe, Latin America and the Middle East. Less inclined to ‘drop our bags’ and explore a new destination, and more likely to enjoy the facilities and services of the hotel, we want a short-term solution to our needs — be they spa treatments, afternoon tea, glam cocktail bars, or that rooftop pool. We want to be able to fully indulge in the time we have available, and the microstay embraces that. 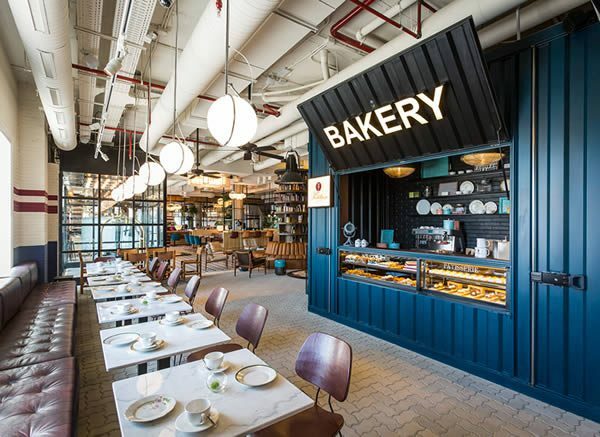 There are hotels for every microstay whim in some of the world’s most important cities. 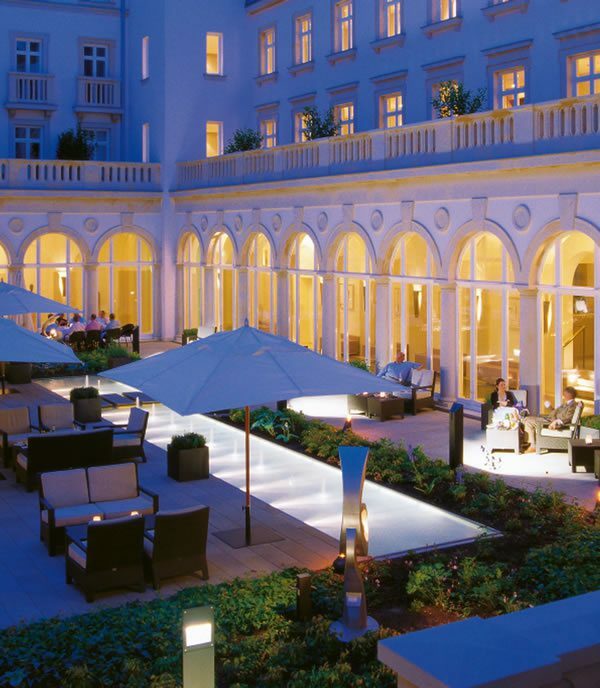 Paris’s Best Western Premier Opéra Liège, a five-star hotel in the 9th arrondissement surrounded by a multitude of cultural, historical, and architectural interests, is a prime example of somewhere to glam-up before a slap-up dinner followed by a few hours in the City of Lights. And Rocco Forte’s Villa Kennedy, just 15 minutes from Frankfurt airport, would suit the business traveller, digital nomad or delayed flight brigade. With high-speed WiFi, a state-of-the-art gym, bar, restaurant and huge inviting beds, you really can decide how you want to spend your short stopover at this regal beauty. Over in Berlin, the real city that never sleeps, why pay for a hotel you’ll only be bedding down in for a few short hours? 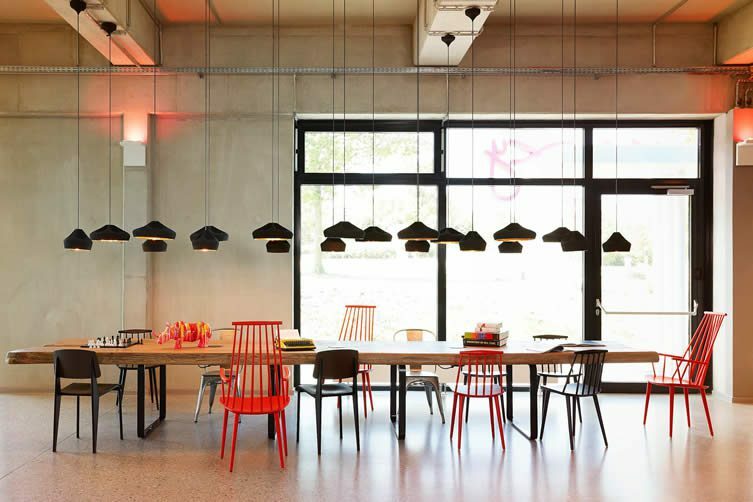 Part of Marriott’s new millennial-friendly chain, MOXY Berlin Ostbahnhof is a design-minded destination in the city’s hip Friedrichshain-Kreuzberg district, and is just a hop, skip and a jump (or a lethargic crawl) away from the iconic nightclub, Berghain. Night owls looking for somewhere to crash for a few hours should find themselves in like-minded company. Short stopovers for party animals; somewhere to enjoy the sunshine and vistas; a spot for business meetings or travel fresheners; dens of relaxation and rejuvenation … microstays are anything and everything you want them to be. In today’s fast-moving society, it’s vital you make your free hours count.